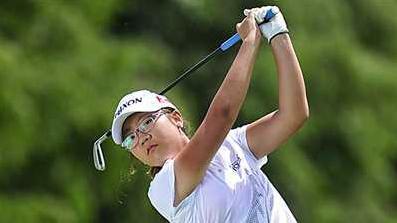 World No 1 Lydia Ko has overcome her brief illness and is in China to try and win the amateur golf title at the World Ladies Championship this weekend. Women golfers from around the world gathered at Mission Hills Haikou for the opening ceremony of the first World Ladies Championship last night ahead of a unique three-in-one competition comprising an individual professional, amateur and team event over 54 holes on The Vintage Course. The professional golfers are competing not only for individual glory, but 19 pairs are also playing for the pride of their respective countries or region with a $US500,000 purse for the individual stroke play and an additional $US100,000 team prize fund. The new competition got off to a dramatic start with a grand opening ceremony that was held in the main clubhouse at Mission Hills Haikou, celebrating the birth of the World Ladies Championship on the picturesque Hainan Island. Meanwhile, out on course New Zealand’s teenage star Ko will be one of eight competitors vying for the amateur title at the new championship. Having Ko tee up against fellow 14-year-old Shi Yuting and 16-year-old Yan Jing is an exciting prospect for Chinese golf fans, who will get to witness how their home grown talents fare against the world’s top amateur. Ko has had a stellar start to the year winning the Australian amateur matchplay and then becoming the youngest ever winner of a professional golf tour event, at the age of 14. She finished 32nd at the Ladies Masters the following week, tied for 19th in the Australian Open and was equal-17th at the New Zealand Women’s Open. However, after an exhausting stretch of tournaments, she had to withdraw from the recent Riversdale Cup in Melbourne, suffering from dizziness and nausea, but recuperated before flying to China for this week’s prestigious event. ”I felt bad for a day but I’m fine – it wasn’t a biggie,” said, Ko on her first visit to China. The leading amateur player who makes the cut in the World Ladies Championship will be offered a spot in the Lalla Meryem Cup, a Ladies European Tour event taking place from March 22-25 in Morocco. They will also receive an invitation to play in the China Ladies Open on the China LPGA Tour in December.